A few weeks ago we had a Girl's Dinner reunion! Long-time readers might remember that I used to have monthly dinners with my two friends Paige and Ashley. Paige left us for Connecticut and while I like visiting her, I'd much rather she just return to St. Louis! She and her boyfriend Zach were in town a few weeks ago and I soaked up every spare minute with her, which of course included the return of Girl's Dinner! Sitting in my kitchen with Paige and Ashley reminded me how much I miss our monthly tradition, where sweatpants are the dress code, storytelling makes the cooking time fly by, and we always fit in dessert, no matter how stuffed we are. They even help me do the dishes (sign of true friends!)! Both Paige and Ashley found themselves with men who dislike mushrooms. Naturally, something with mushrooms was regularly on the menu for Girl's Dinner and this one was no exception! This was met with approval from all three of us, including my mushroom-loving (thankfully!) husband. Real Simple claims this serves four but we all had seconds and there was still quite a bit leftover. Ryan added steak to his the next day and said it was great, so serve this with steak if you're looking to add some meat! 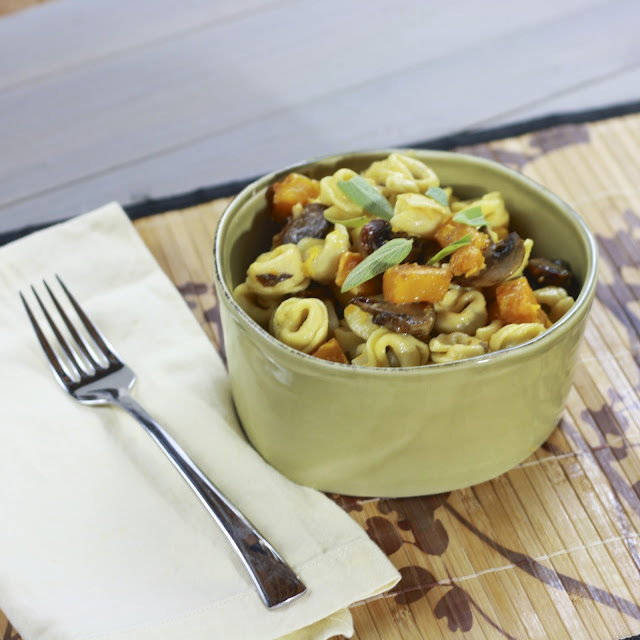 Cheese, mushrooms, squash, and pasta....I'm pretty sure this combo can do no wrong! 1. Heat oven to 450F. 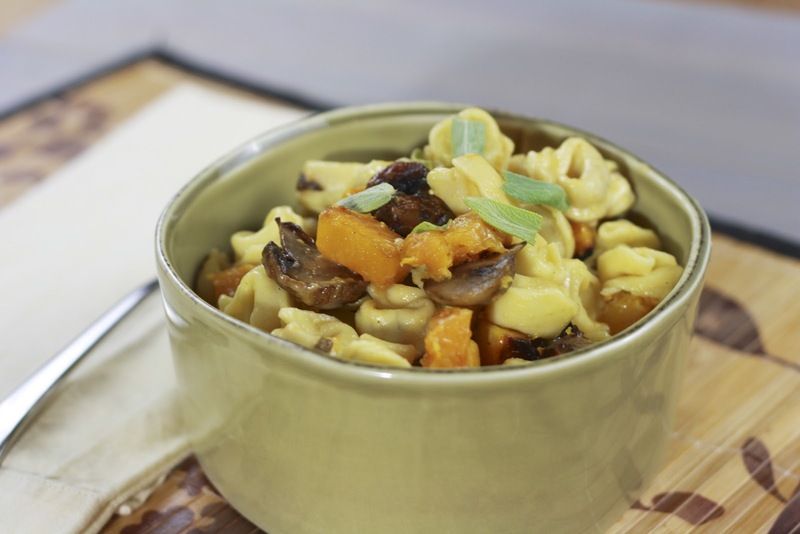 Toss squash and mushrooms with olive oil and lay out on baking sheets lined with foil. Season with sage, salt, and pepper. Roast for 20-25 minutes, tossing halfway through. 2. Meanwhile, cook tortellini according to package instructions. Reserve 1/2 cup of the cooking water and drain the tortellini, returning to the pot once drained. Add the vegetables, cheese, 1/4 cup of cooking water, and 1/2 tsp salt. Toss gently to coat. Add additional cheese or cooking water if desired.